Later today, Royal Enfield will unveil the Bobber 830, a brand new motorcycle powered by a V-Twin four stroke engine sourced from Polaris Industries. The motorcycle will be unveiled at EICMA, Milan, and is expected to go into serial production next year. Here is the final teaser of the Royal Enfield Bobber ahead of its launch. 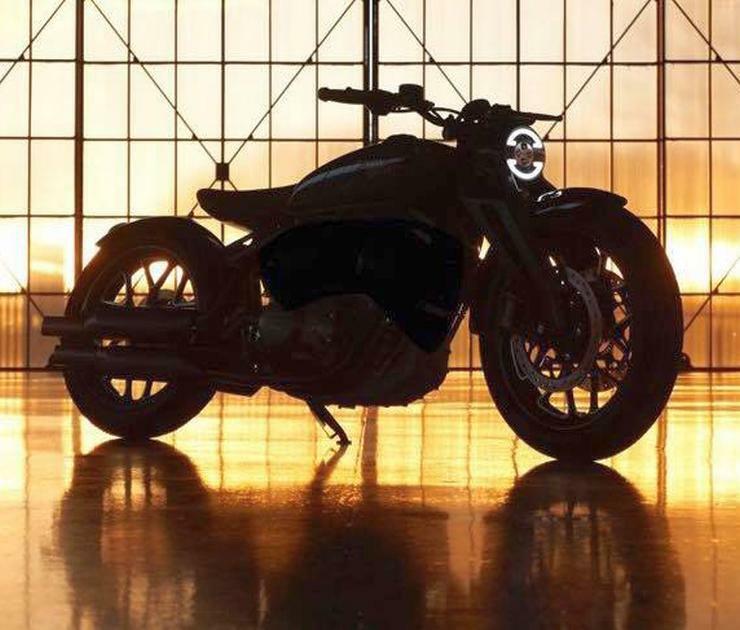 The teaser indicates a single seat motorcycle that will be built around a large engine. An LED headlamp, alloy wheels, twin disc brakes on the front wheel and twin exhaust mufflers in a pea-shooter style can be discerned from the teaser. Other details of the brand new Royal Enfield Bobber remain sketchy for now, and the unveil is expected to throw more light on what will be the biggest engined motorcycle that Royal Enfield has ever put together in recent times. The Bobber 830 is expected to be the flagship motorcycle from the brand, which seeks to dominate the mid segment market. This also explains why Royal Enfield is sticking to the 830cc engine capacity for the Bobber (Mid-segment motorcycles are said to be those that use 350cc-800cc motors. With the Bobber, Royal Enfield will aim to make new inroads into leisure motorcycle segments that have been the preserves of brands such as Harley Davidson and Triumph. The 830cc engine is likely to get liquid cooling, fuel injection and a range of other features that will not just make it powerful and modern but also ready to meet the ever tightening emission norms globally. The V-Twin engine is expected to be Bharat Stage 6 emission norms ready, and is likely to make about 80 Bhp of peak power. Expect a strong torque number as well. Don’t be surprised to see a torque figure in excess of 100 Nm considering the fact that Royal Enfield is known to focus on torquey engines that have fat low and mid range performance rather than peaky motors that make most of their power at the top-end. The new engine is likely to spawn a brand new range of motorcycles around it. While the Bobber will be the first motorcycle to use this motor, a range of designs – from Scramblers to Cafe Racers – are eventually expected to be built around this motor. The new 830cc motorcycle range will also make Royal Enfield more acceptable in international markets, which seek higher power and torque ratings as highway speeds are much higher than on Indian roads. Pricing indication and production schedules are expected to be announced tomorrow.